We can help with the design and renovations of swimming pools of all shapes and sizes in Lake Norman. We are your go-to team when you need assistance installing or replacing pool liners at your home in Lake Norman. From backyard designs to outdoor renovations and swimming pool restoration, our team at Backyard Paradise and Restoration is here to help you create your dream backyard. Backyard Paradise has earned a well-respected reputation for consistent quality and service to Western North Carolina residents. 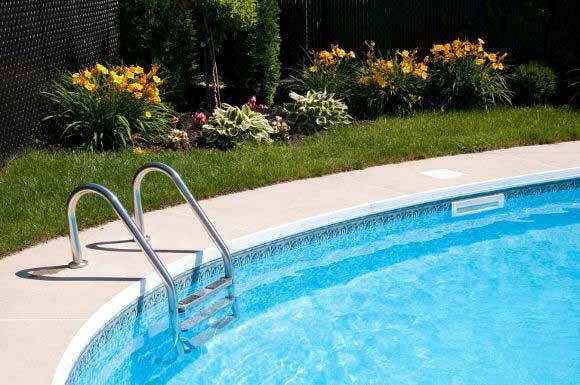 Are you looking at swimming pools as a possible addition to your backyard? Do you wish you had an outdoor kitchen or an updated patio for better entertaining? At Backyard Paradise and Restoration, we understand that having the perfect outdoor space can make a big difference in the way you feel about your home – and in the way your guests enjoy their time with you! When you work with us on your backyard design and outdoor renovations in Lake Norman, North Carolina, you will see that we can truly create the space that you have been envisioning for your home. We aren’t just another swimming pool company that offers basic services. With comprehensive options and an experienced team, you will find that you don’t need to rely on anyone else when it comes to swimming pools, outdoor kitchens, patio renovations and more. When our team at Backyard Paradise and Restoration comes to your home, the same workers will be on the job from start to finish, and our owner is at every single job to make sure your project is done right. We also provide custom work, so you can get the most out of your backyard and truly achieve the oasis that you have dreamed of. If you are considering swimming pool installation or you want to add an outdoor entertaining area at your home in the Lake Norman and Western North Carolina area, just give us a call to discuss your needs. Contact us at Backyard Paradise and Restoration today for more information about our services and how we can assist you at your home in Lake Norman. Whatever your vision for your outdoor space may be, we will be there to make your vision come to life, so you can enjoy being in your backyard for years to come. We look forward to working with you!